Warning: This trailer may take your breath away. Special thanks to our buddy MD for the tip. Yeah, we’ve been focused on ourselves. That’s the beauty of this narcissistic platform that we rock… it’s our stuff, our voice, our opinion. But the Holidays aren’t all about us. It’s also a time to help your fellow man and serve those less fortunate than you. That’s one reason why we love what The Cigar Feed is doing. Through their Charity Winter Raffle, TCF is collecting donations and donating cigars from your collection to share with soldiers. Visit thecigarfeed.com/troops for information on how you can contribute. And do so today. Take half an hour and get lost at downorout.blogspot.com, aka A Passport to Trespass. The polaroid-infused blog is full of beautiful places now available in coffee-table form with Vol VI: ‘i can’t remember where i’ve been.’ Pick it up for $35 here. Maybe its the Scot/Irish in ‘me blood, but I love breaking out the tartan items in F/W. This year feels exceptionally well-suited for tartan ties. Pair them with your best gray suit or under a sweater/cardigan with jeans and oxfords. Red, Green and Blue tartan ties avail at J.Press for $45. 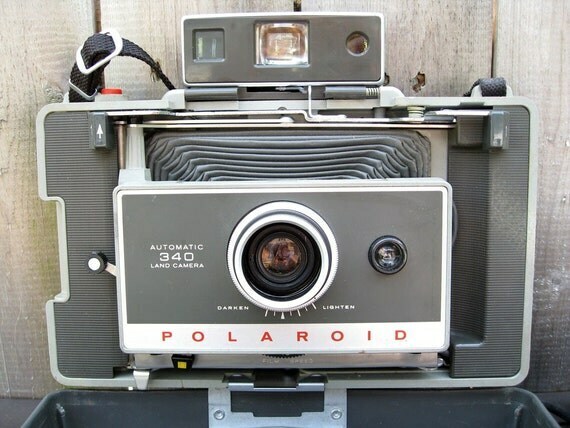 Check out this great Polaroid offered from our friends at Wooden Sleepers. Pick it up for only $42.